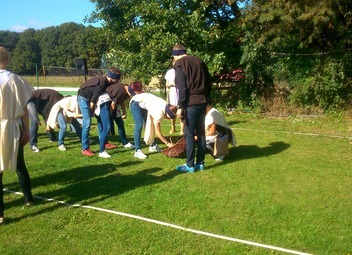 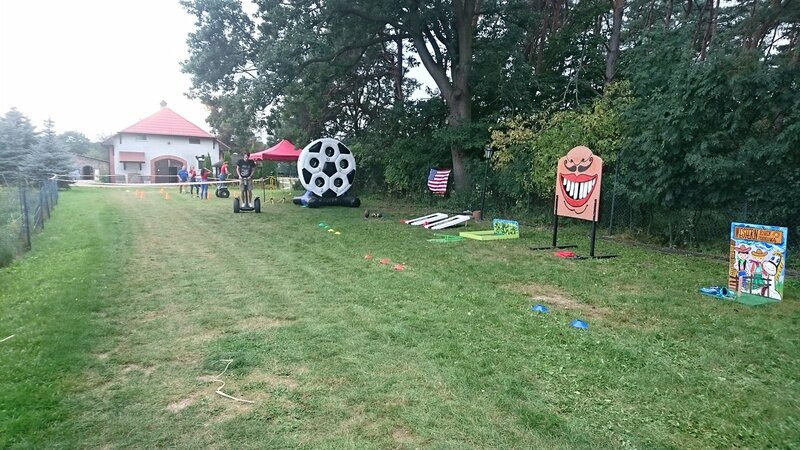 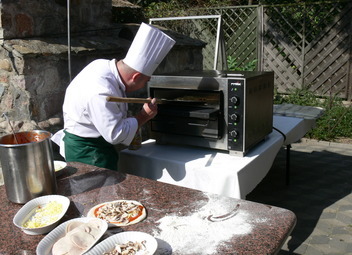 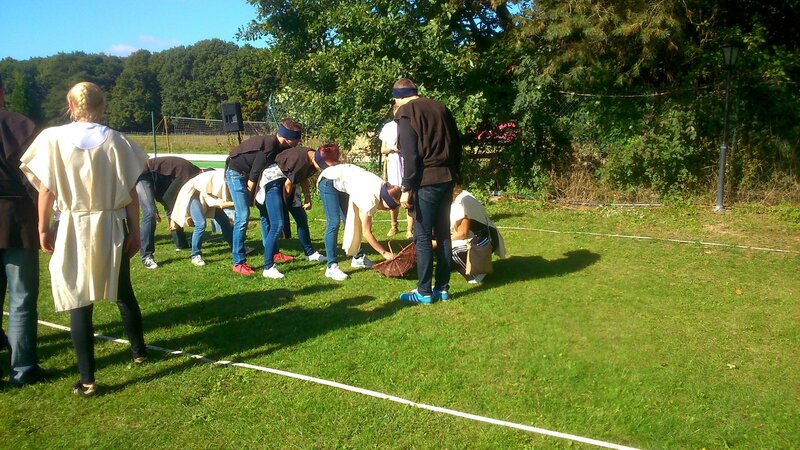 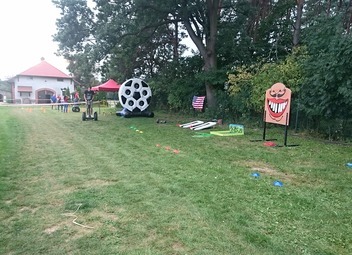 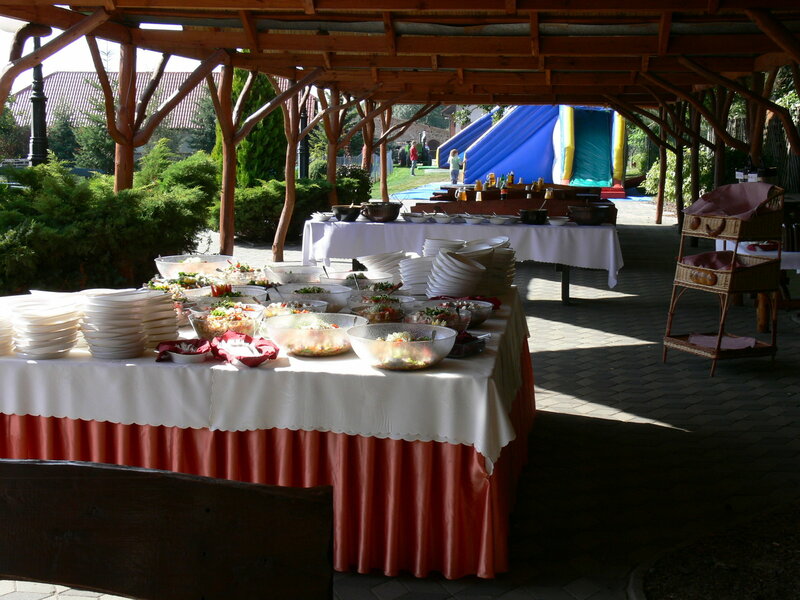 An important element of all fun events is, apart from good food, outdoor leisure. 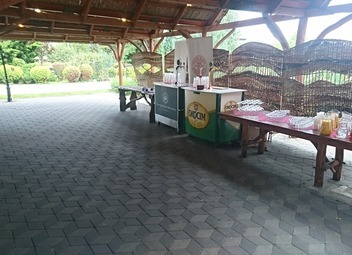 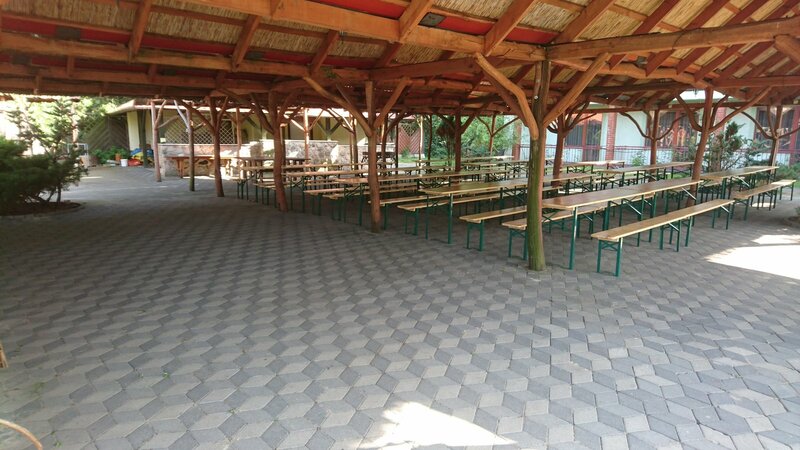 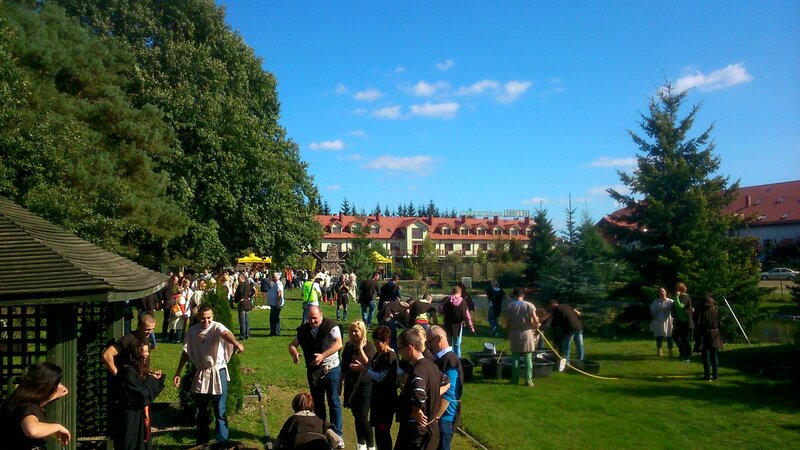 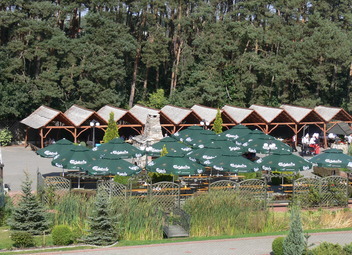 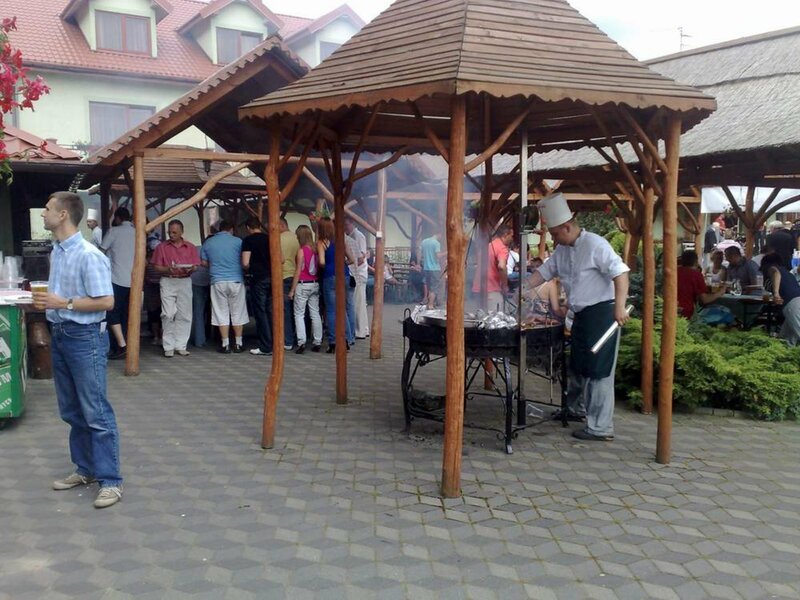 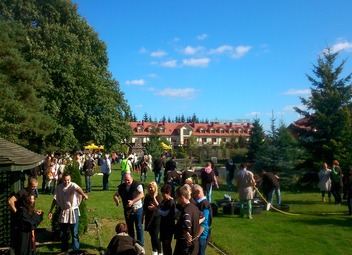 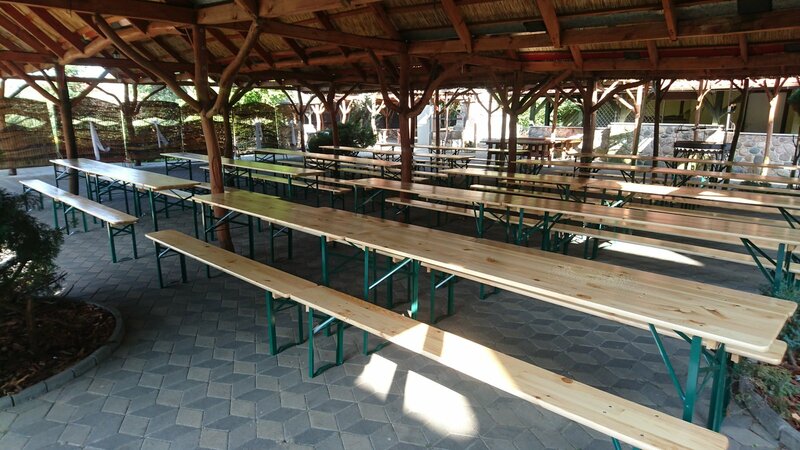 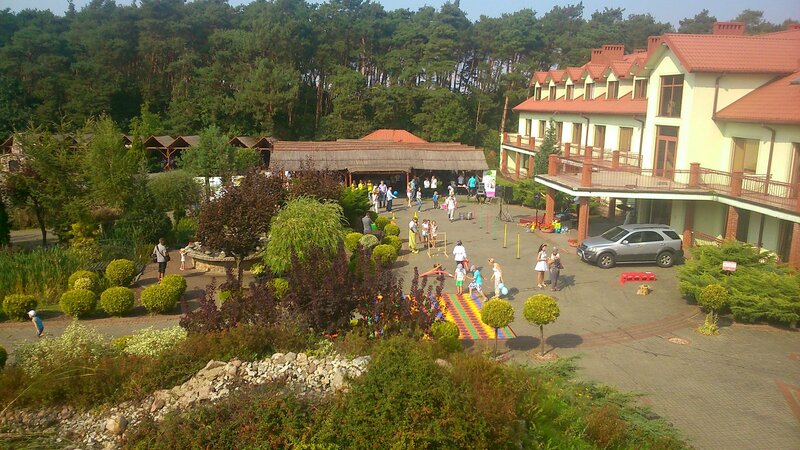 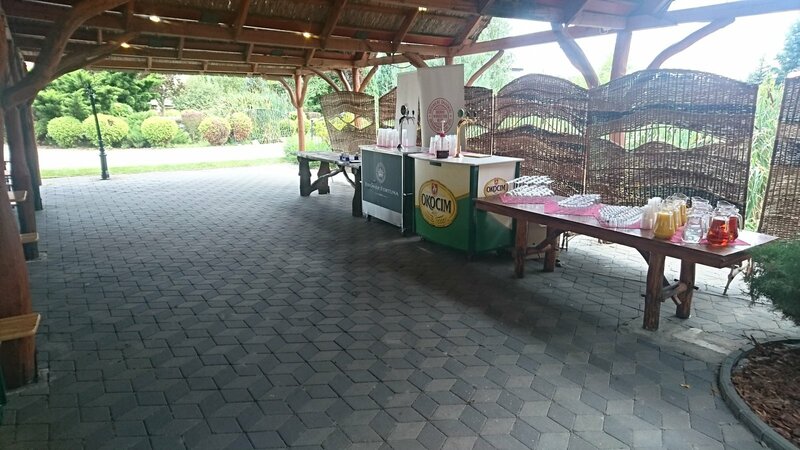 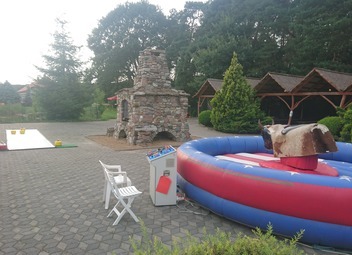 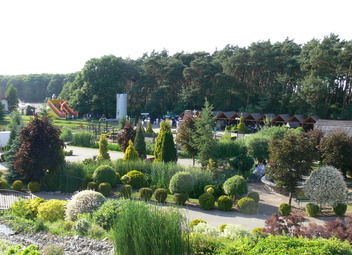 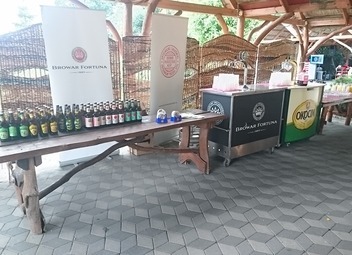 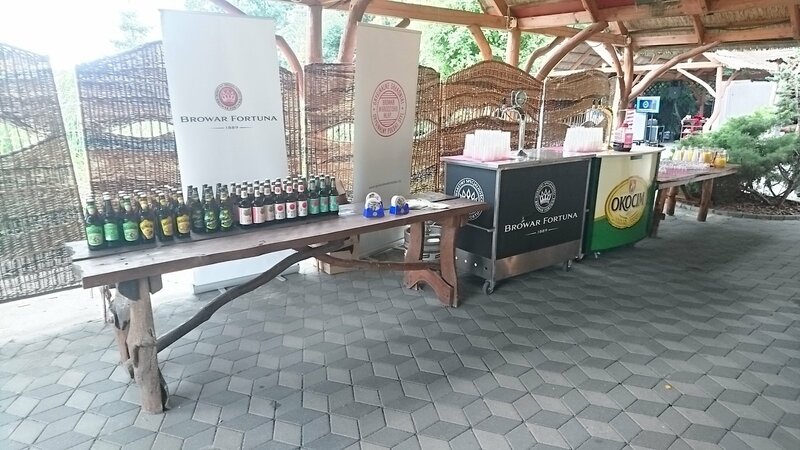 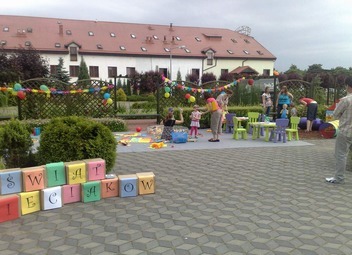 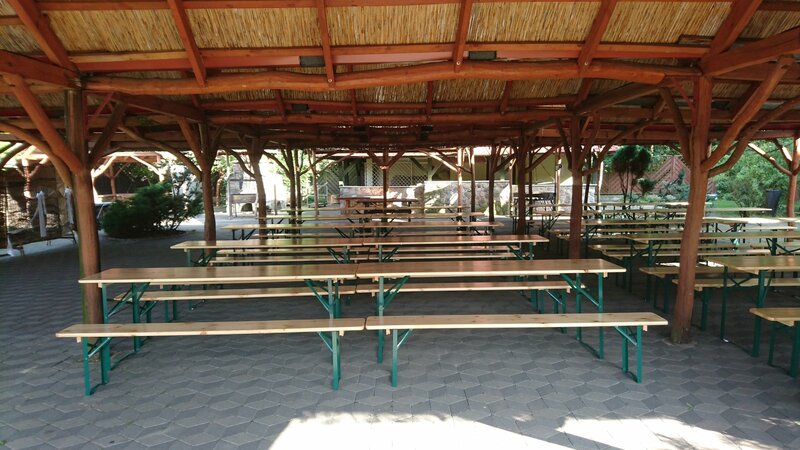 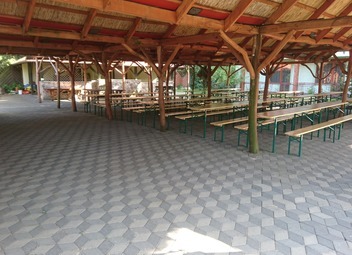 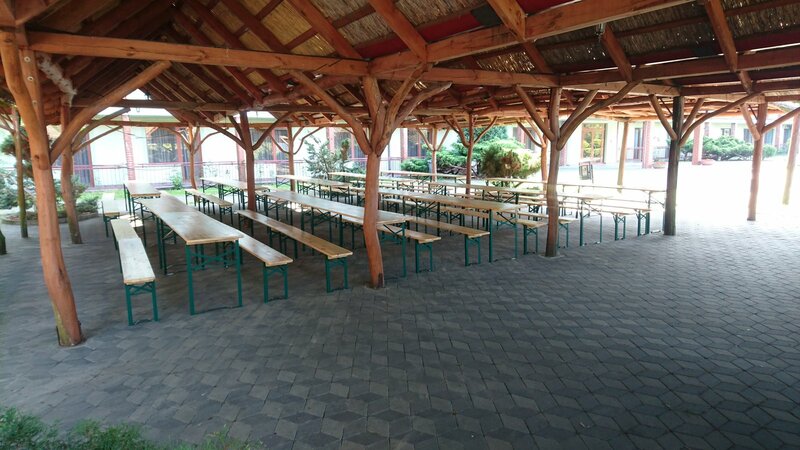 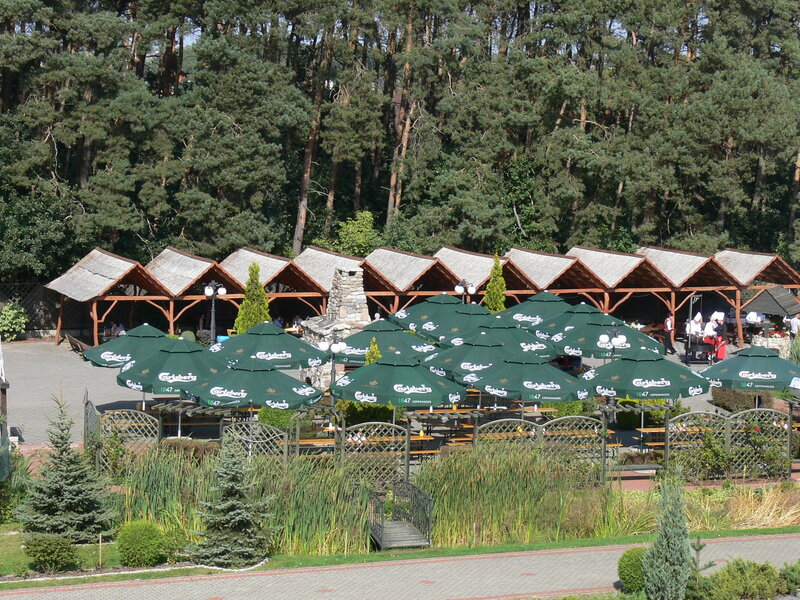 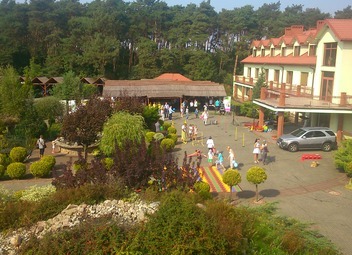 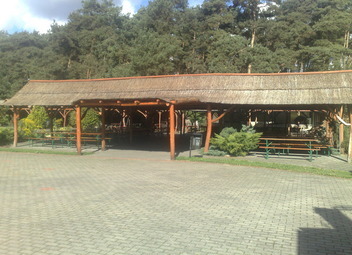 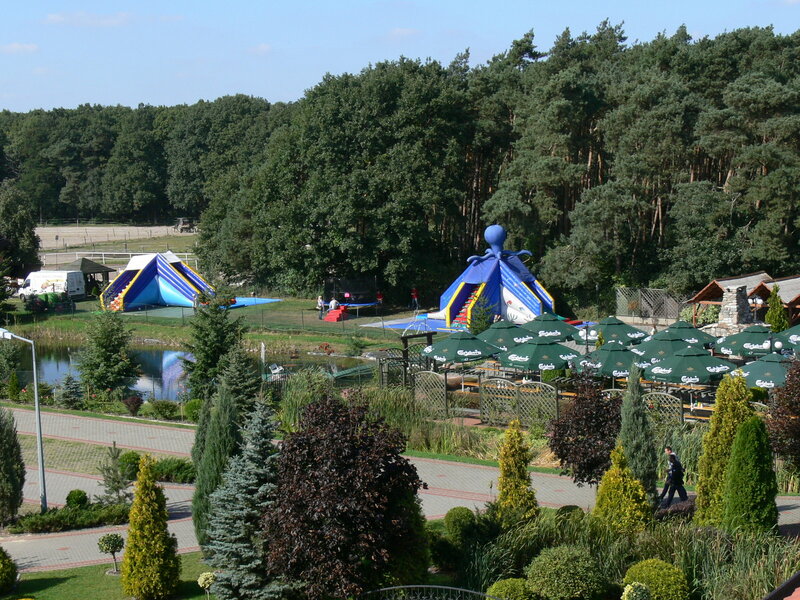 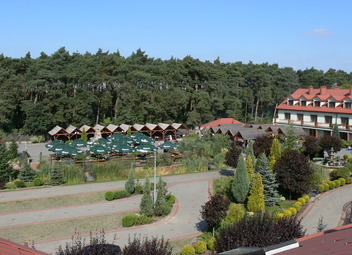 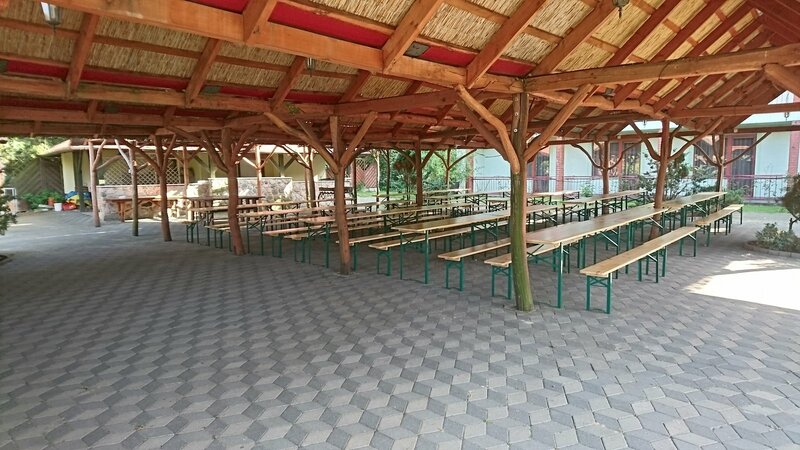 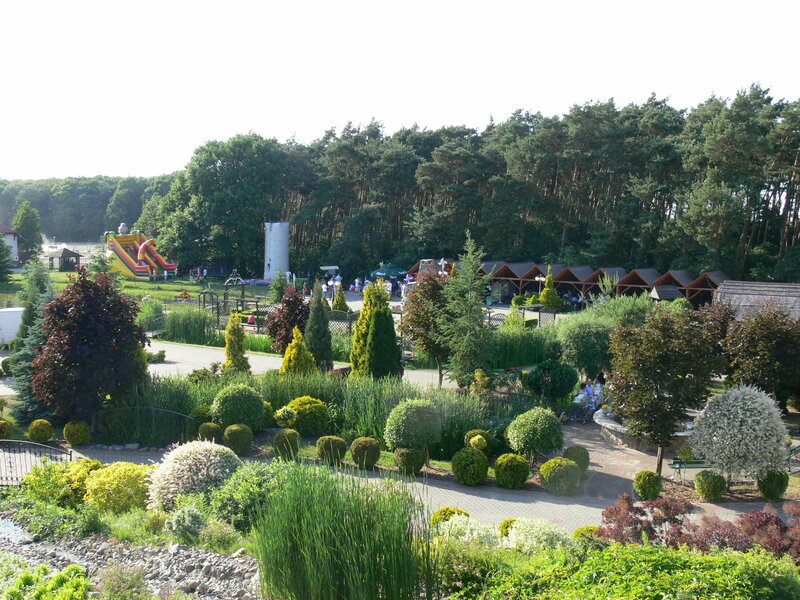 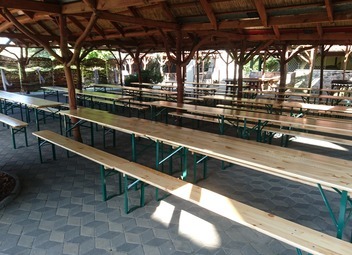 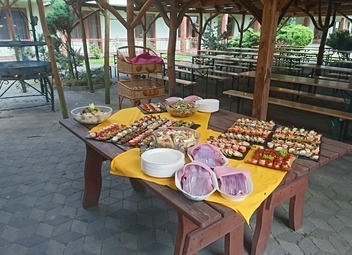 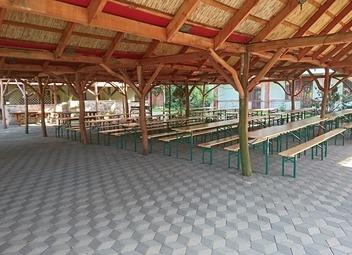 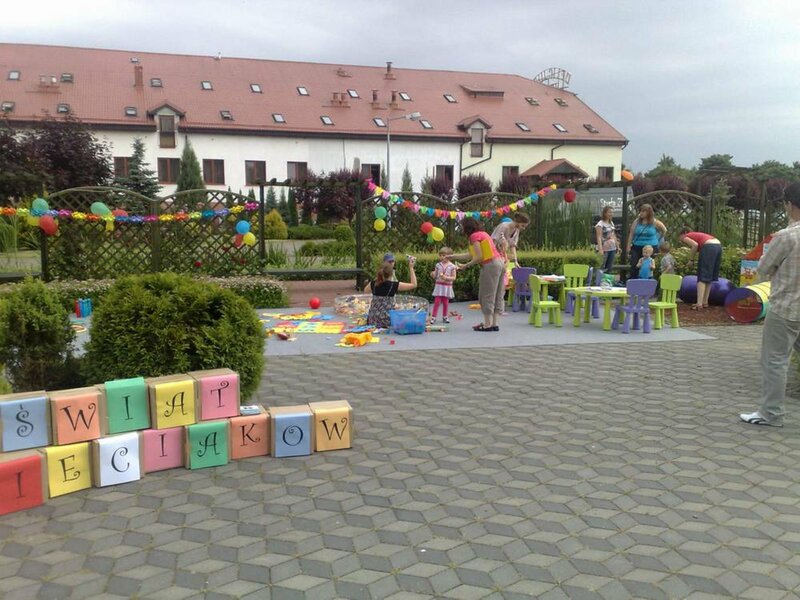 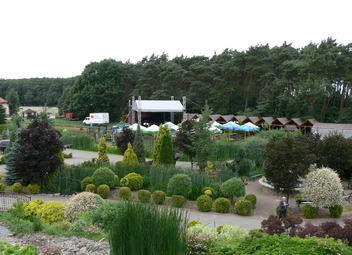 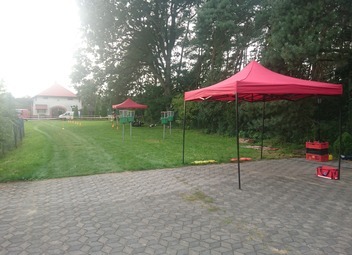 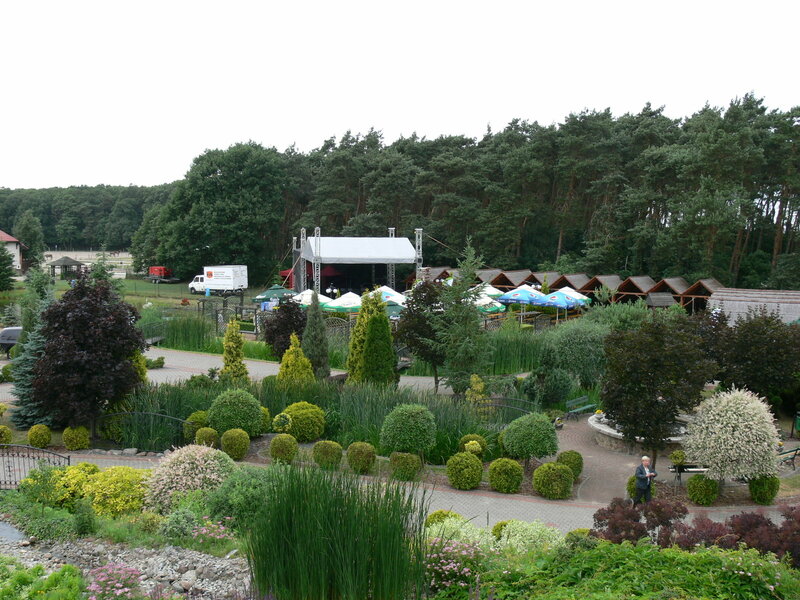 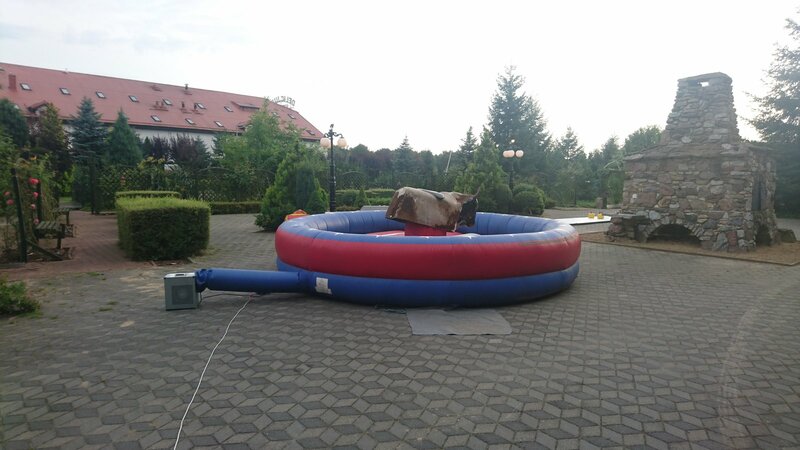 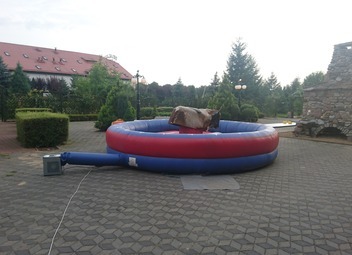 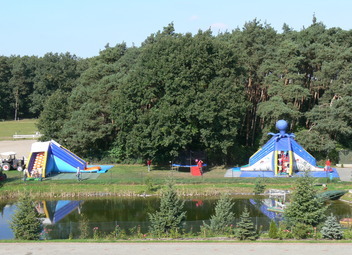 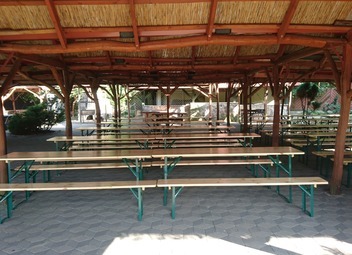 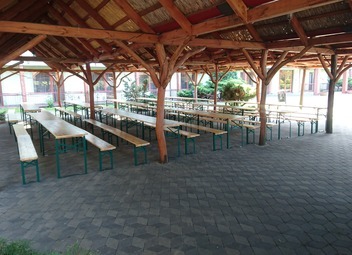 The Delicjusz Hotel and Restaurant offers spacious premises surrounded by a beautiful forest, which allows for organisation of various socialising events, company picnics, sporting events and concerts for an audience of even several thousand people. The Hotel also owns a beautiful grill garden place made of wood and roofed with thatch. 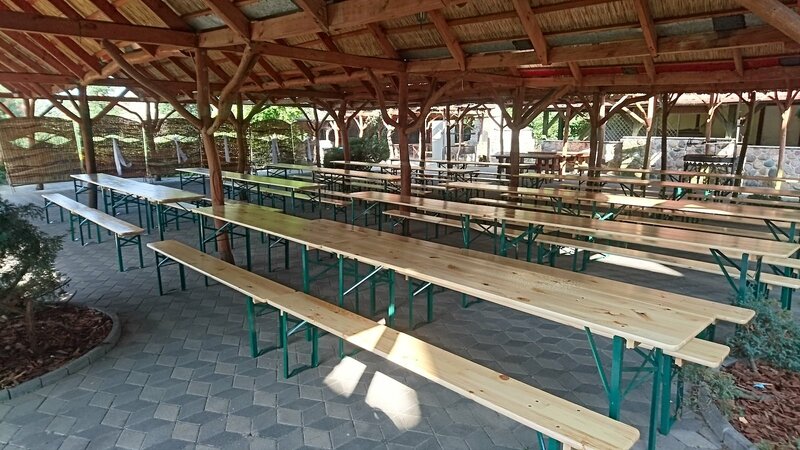 Several hundred people at once can party at dining tables there. 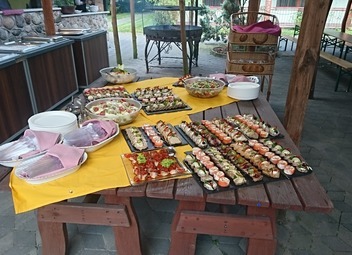 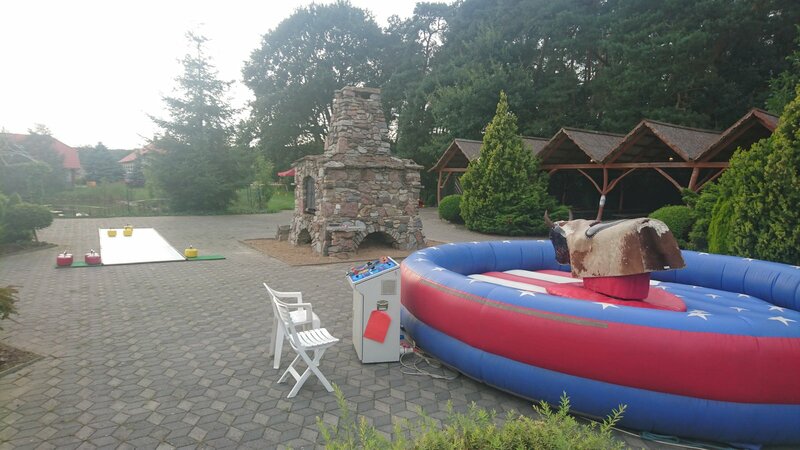 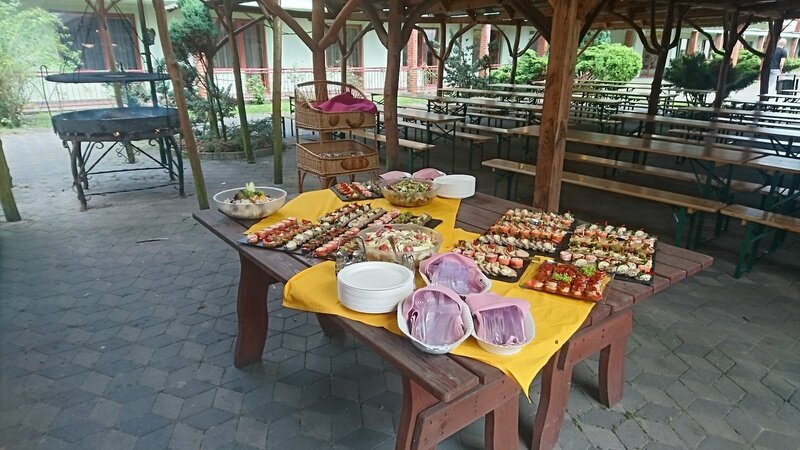 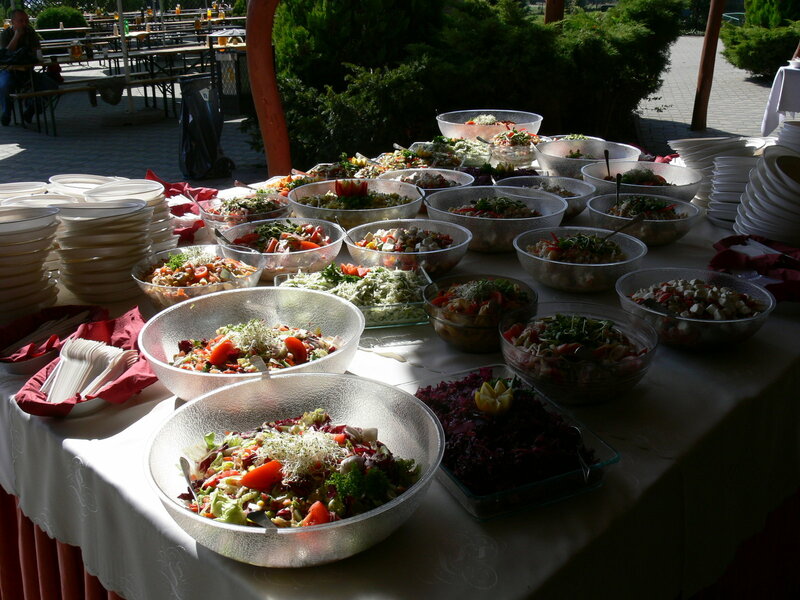 Our guests appreciate traditional Polish parties with pig or ram roasting, traditional sour rye or pea soup as well as baked potatoes and bigos. 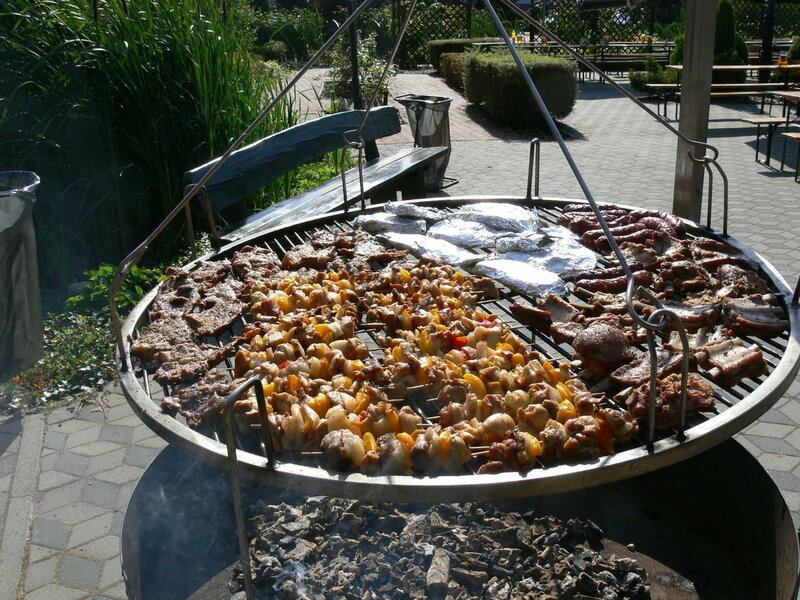 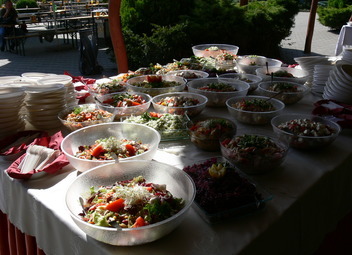 Our wide offer of grill dishes will meet the expectations of all gourmands. 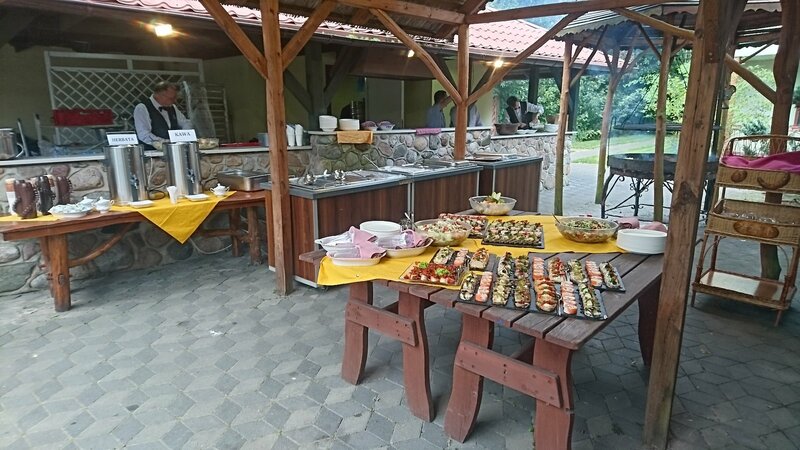 We also suggest trying boar pate, traditionally roasted sausages and hams, black and white headcheese and baked pudding or bun sausage with cabbage and mushrooms. 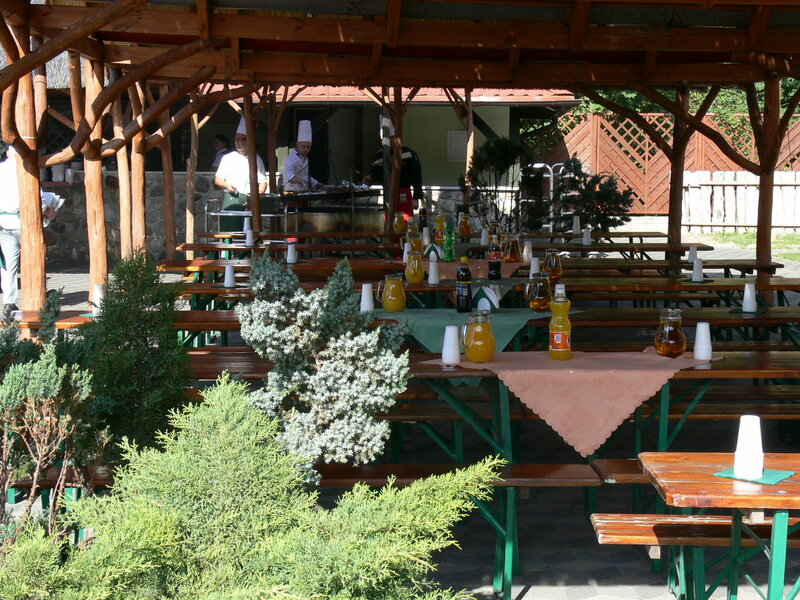 We serve those traditional specialities with beer with honey, wine or mead with spices, which will warm you up. 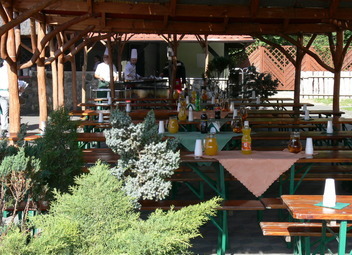 The atmosphere of a feast can be emphasised by live music, dances or sing-along around the bonfire. 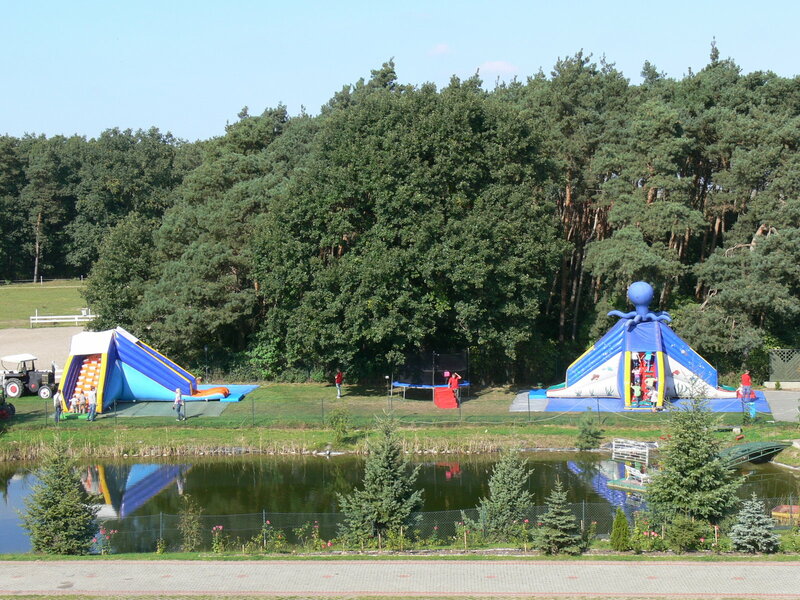 We can make a sand area available to extreme sports lovers, which will be perfect for, for example, a crazy quad ride. 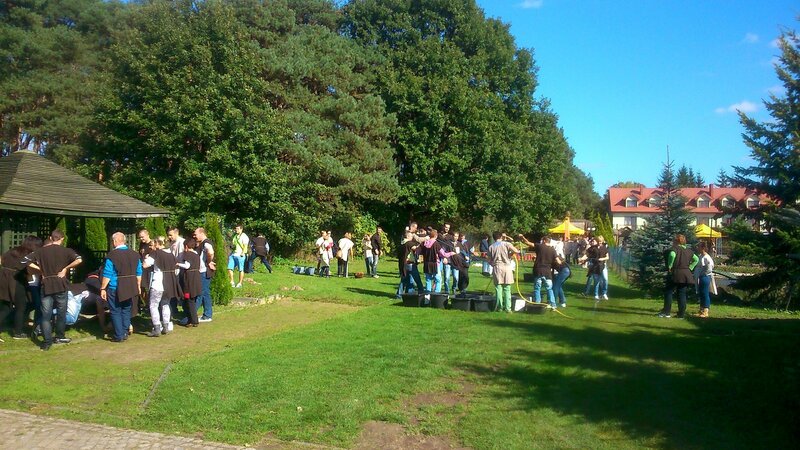 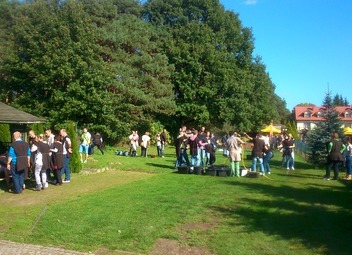 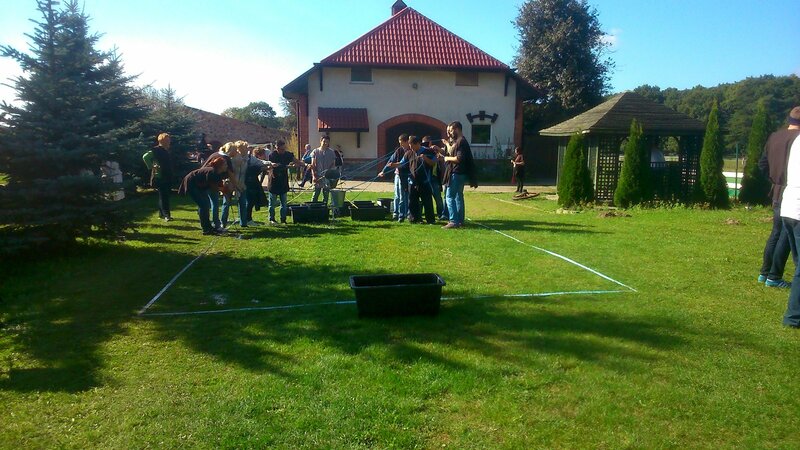 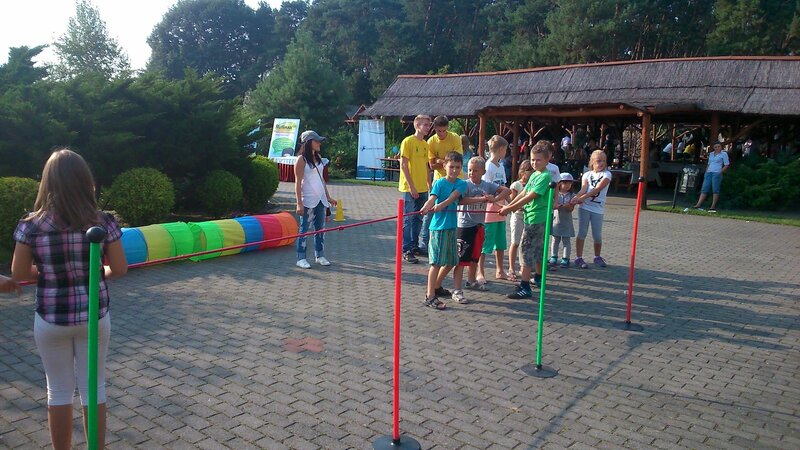 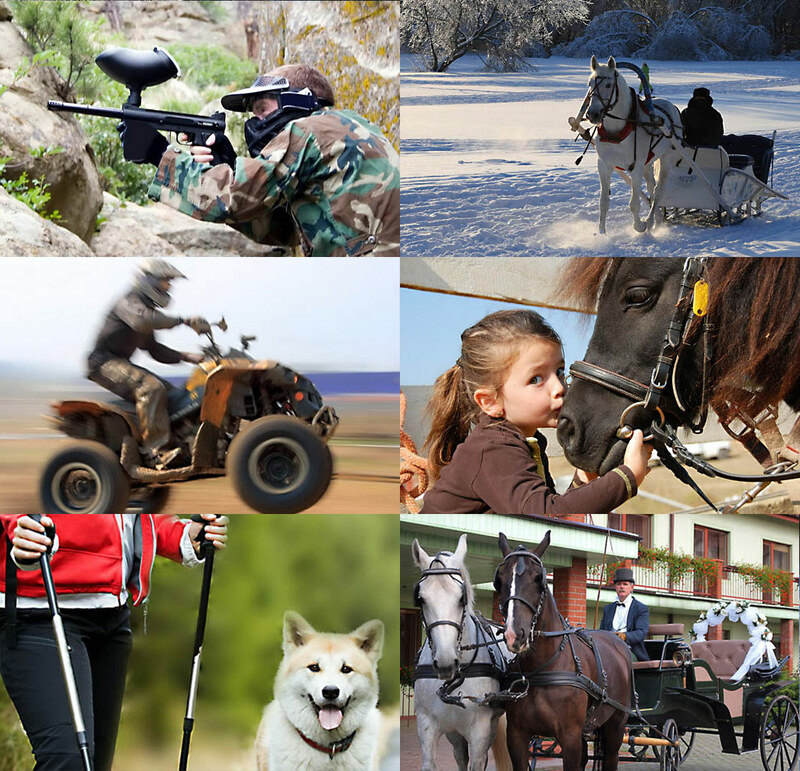 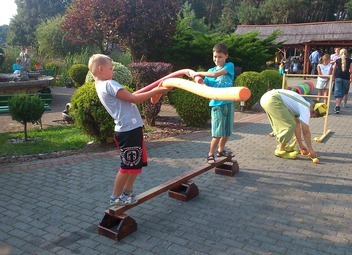 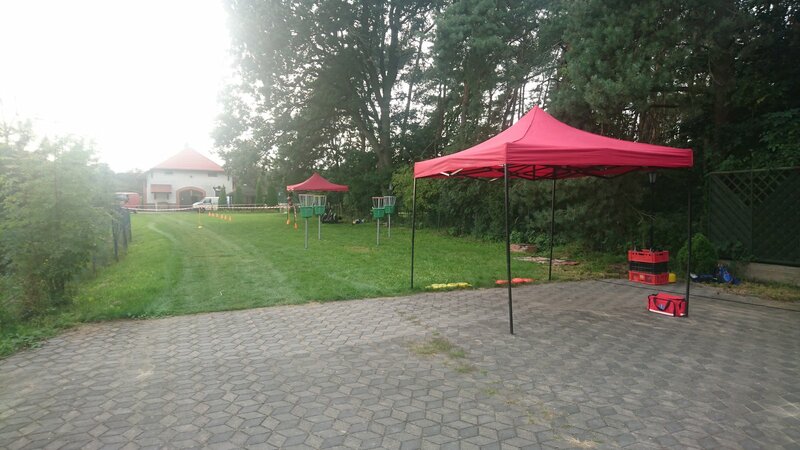 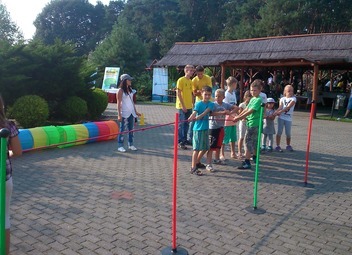 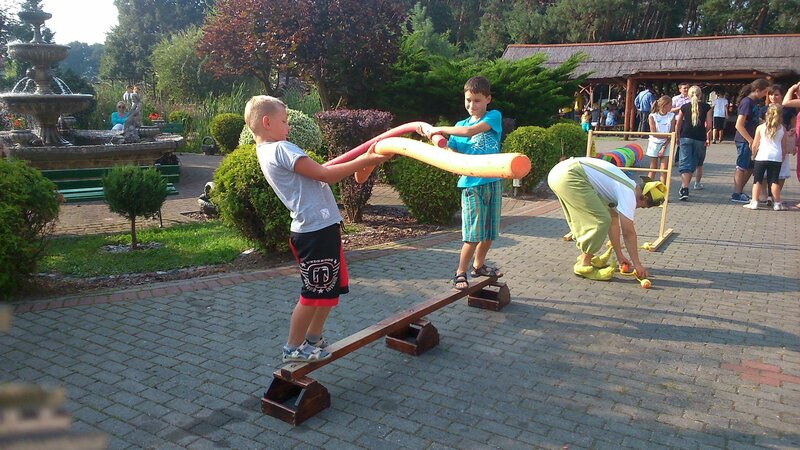 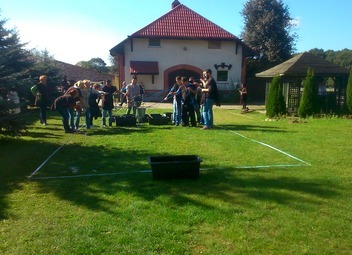 It is also possible to organise team or individual shooting tournaments and paintball matches. We cooperate with many event agencies within the scope of comprehensive organisation of events. 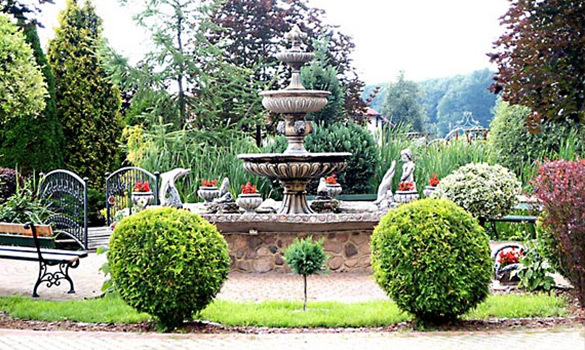 Thanks to their help, we can ensure that customers are fully satisfied with their choice of our hotel. 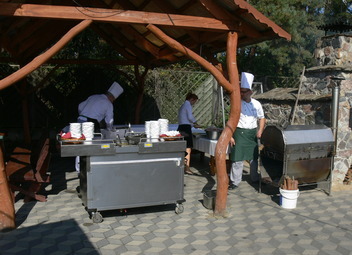 On the premises of the hotel’s garden, there is a closed and roofed area that is ideal for organisation of feasts and grills. 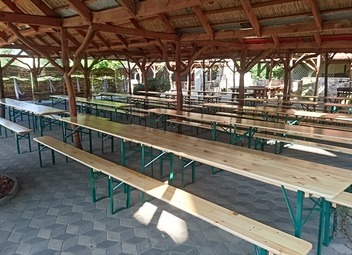 There are grill sheds, under which 300 persons can be hosted, and provided with a roof in case of a bad weather. 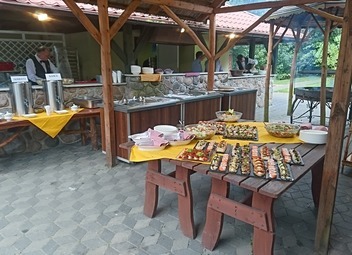 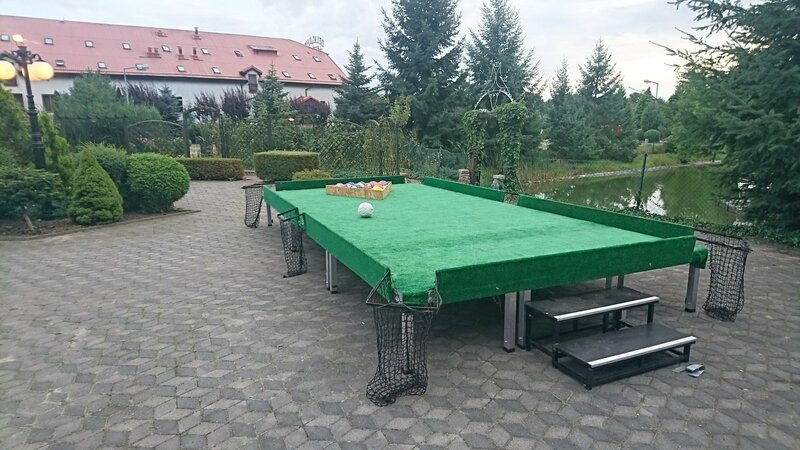 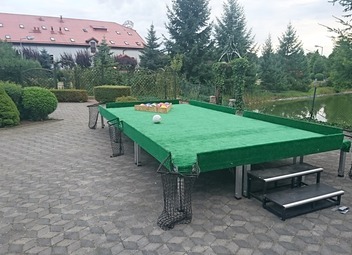 It is possible to organise a grill feast there and make it even better by organising other accompanying activities on the adjacent paved area or a green trail of several hundred metres. 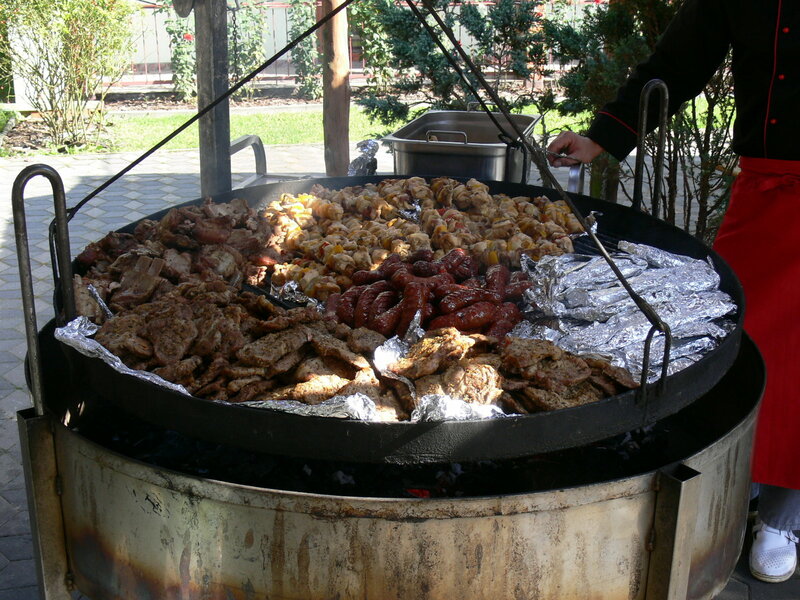 Traditional Polish feasts with roasted pig or ram served with traditional sour rye or pea soup with baked potatoes and bigos have become a standard here. Our rich menu will fulfil the needs of all grilled dishes lovers. 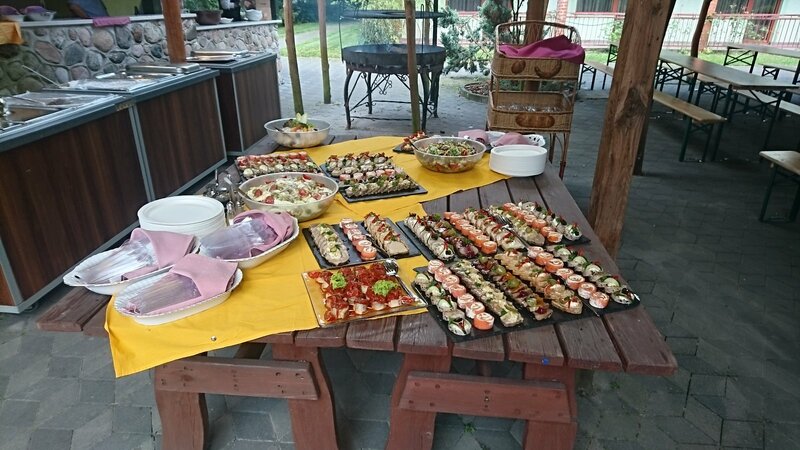 We suggest that gourmands try boar pate, traditionally roasted sausages and hams, black and white headcheese and baked pudding or bun sausage with cabbage and mushrooms. 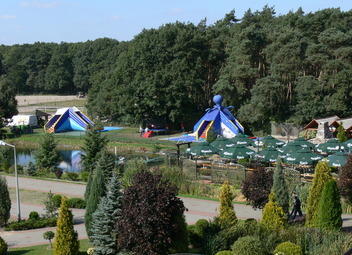 The atmosphere may be enriched by a live music band, which will encourage guests to dance, or sing-along around the bonfire.